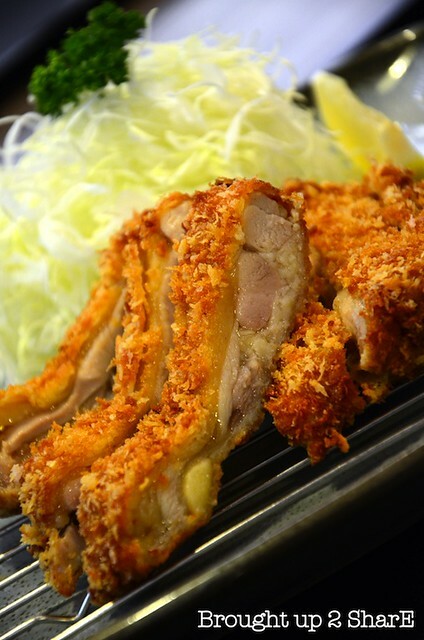 It’s a breaded, deep-fried pork cutlet, sliced into bite-sized pieces. 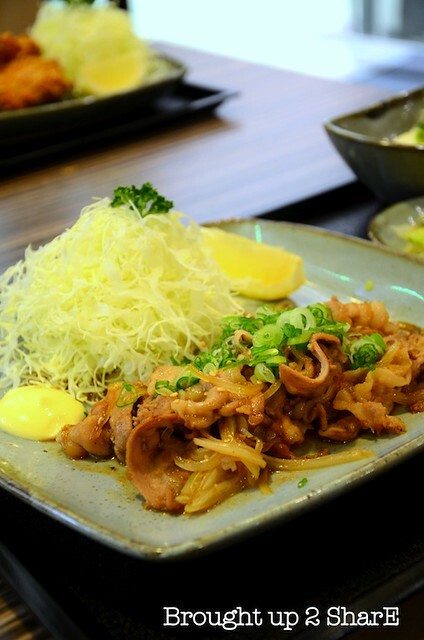 Usually eaten with cabbage slices and miso soup. Yes. It’s pork! We were greeted by friendly staffs upon entering and was pretty comfortable with their modern interior & neat surroundings. 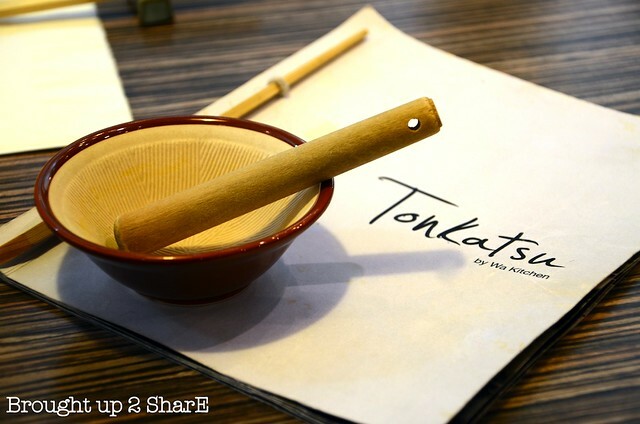 Their menu was simple & Tonkatsu is the main star. 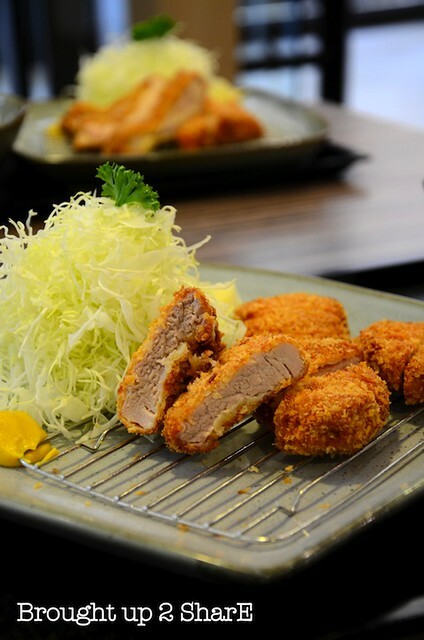 Choose between pork fillet cutlet or loin cutlet, or even both and you’ll be satiated, walking home satisfied. Well, you will be served with a mini mortar & pestle like cutlery. 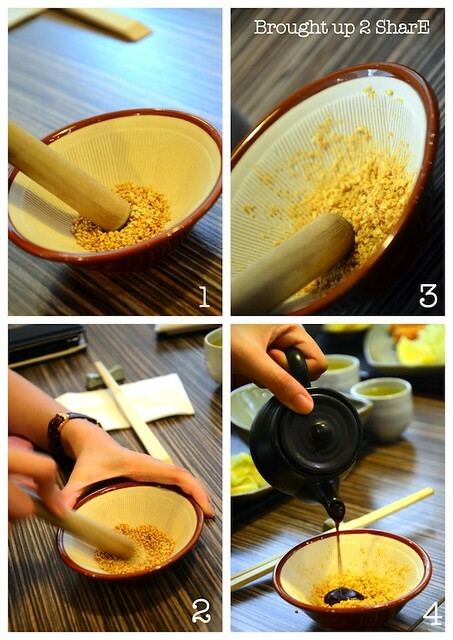 Grind your own sesame seeds to release the aroma & don not forget to add the sweet sauce (Worcestershire or special Tonkatsu sauce) to taste. It’s a very appetizing sauce to dip with your pork/chicken cutlet. 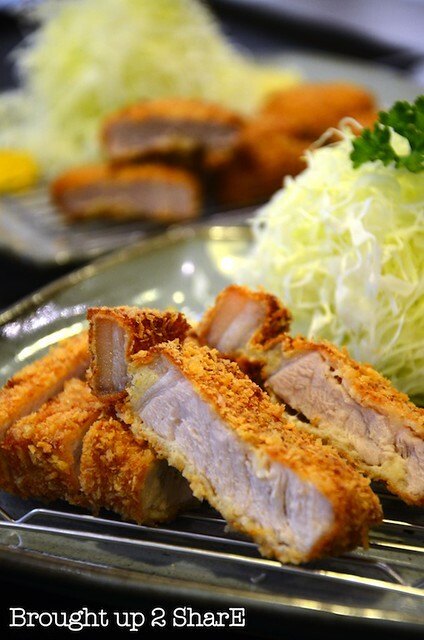 Their pork cutlet are coated with panko or breadcrumbs before being deep fried. Crispy outer layer with juicy meat underneath. They are even garnished with yellow karashi; Japanese hot mustard for the extra oomph. *Each set is served with sliced cabbage, tofu, pickled vegetables, pork vegetable miso soup & rice. 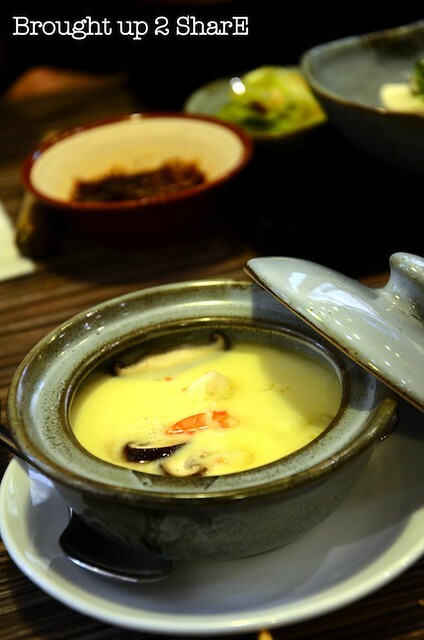 The miso soup is very flavoursome as it was filled with ingredients. *Remember to drench some plum sauce onto your cabbage slices for better taste. Pan saute Pork Belly with Ginger sauce. Not a fan of deep fried meat? This gingery serving would suit you best. Goes very well with the rice. Breaded Chicken Cutlet. It was perfectly deep fried to golden brown making each bite a memorable one. Up to expectation, it was silky smooth. 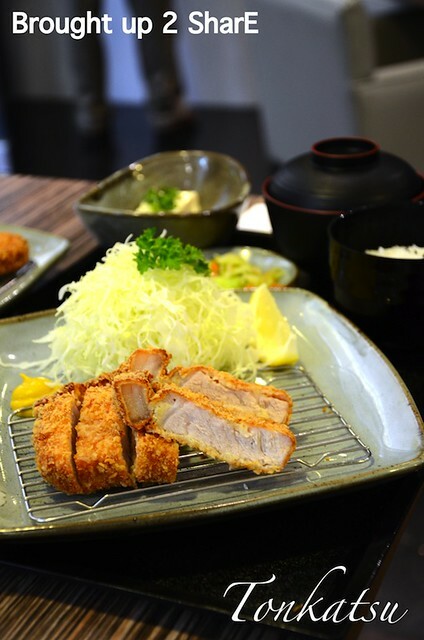 Tonkatsu is the latest entry to Pavilion’s 6th ‘gastronomic’ floor. It’s a getaway if you happen to crave for a ‘oink oink ‘ adventure. Cool. Heard lotsa good things about this place. Must give it a try. 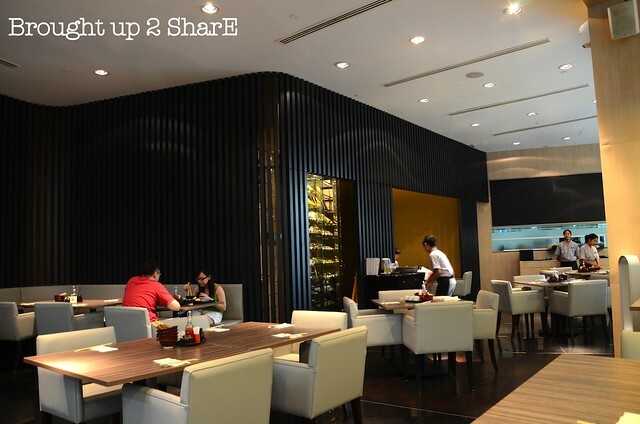 Lovely food although have not tried this place but sure in for nice Japanese food. What kind of pork they use? Alas, a real tonkatsu restaurant in Malaysia.